The New England Morgan Horse Show is proud to partner with Live Strong Northampton and the YMCA. 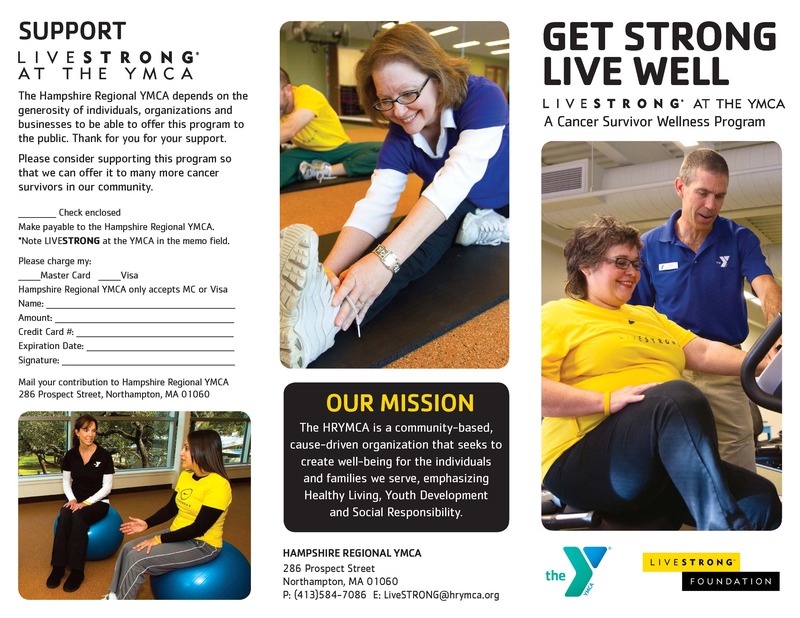 The Live Strong program is a wellness program for cancer survivors. This program will be the beneficiary of our special event class: Pro-Am Equitation to be held the evening of July 27, 2017. The YMCA and Live Strong will have a presence throughout our horse show this year and we encourage exhibitors to get involved.